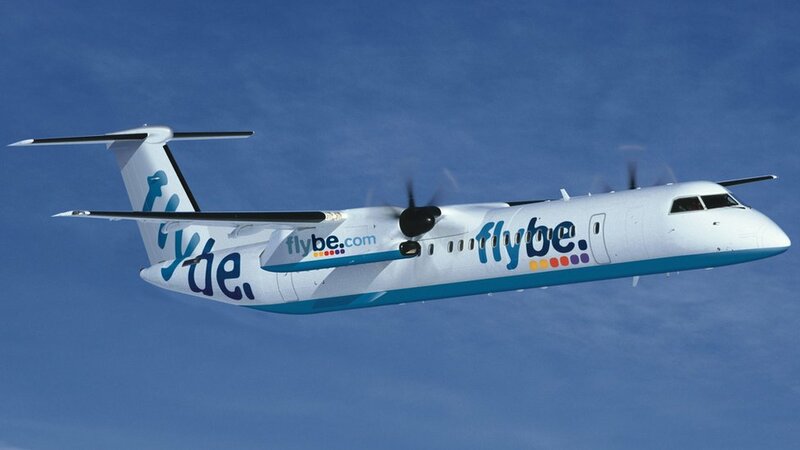 Regional airline Flybe has cancelled dozens of Wednesday morning flights as it enters discussions over potential job losses. It is not clear whether the flight cancellations and job discussions are connected. Flights from Belfast City Airport and Birmingham are among those affected. Most of the flights are within the UK. The airline said it would like to “sincerely apologise for any inconvenience caused”. Cardiff Airport boss Deb Barber said: “We understand Flybe is in the process of consulting with a number of its employees, including its crew at multiple bases across its network, which includes Cardiff. “Flybe’s plan to restructure and reduce its jet operations across many bases is part of the company’s long-standing objective to stabilise the business,” she said. The cuts are thought to affect Doncaster and Exeter, as well as Cardiff, as the company seeks to drop expensive jets in favour of cheaper turboprop routes. The discussions are thought to be at an early stage. Sue Piercey, who lives in Bradford, told the BBC her flight from Leeds to Belfast today was cancelled. Flybe are scheduled to fly three later services from Leeds to Belfast today, and none were offered to Ms Piercey, she said. “Our holiday is totally off now, and I hope my insurance company can help me,” she said, describing herself as “very annoyed today”. Customers also vented their frustration on social media. Will disgruntled passengers receive compensation? Anyone whose flight is cancelled is entitled to choose between a refund paid within seven days, or an alternative flight (or bus) – even with a rival carrier. Unless they have chosen a refund, it is the responsibility of the airline to get anyone with a ticket to their final destination as promptly as possible. In many cases, they should receive refreshments during any wait of two or more hours. Passengers whose flight is cancelled, or who suffer long delays, can apply for extra compensation under EU rules. As these are mostly short-haul flights, and the cancellations were last-minute, most will be entitled to compensation of €250 (£213). Anyone who misses a connecting flight should talk to the airline operating that second flight but, according to consumer group Which?, they may have to make a claim for the cost of a new flight from their travel insurance. On Monday, Flybe passengers on a new route were left with a six-hour coach journey when their aircraft was grounded. The 18:40 service from Newquay to Heathrow could not take off on Sunday because of a “technical issue”. Cornwall Airport Newquay said passengers were offered “rebooking for another flight or ground transport to London Heathrow”. 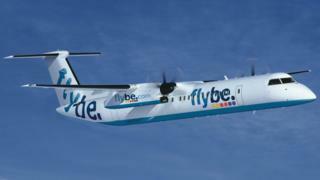 Flybe was bought early this year in a rescue deal following poor financial results. Connect Airways, a consortium led by Richard Branson’s Virgin Atlantic, paid a total of £2.8m for Flybe’s assets and operations. The Exeter-based regional airline put itself up for sale last November, following a profit warning the previous month. Virgin, Stobart Air and Cyrus Capital set up Connect Airways in December. Flybe fell into difficulty in 2017, after what was considered a too-aggressive expansion strategy. The company ran up a near-£20m loss in the financial year ending 31 March 2017. This January, one employee was moved to send an email accusing the firm’s directors of ruining a profitable company. The employee, a senior pilot, addressed the email to Flybe’s chief executive, Christine Ourmieres-Widener. “Congratulations, in two years at Flybe you and your fellow incompetent cohorts have managed to totally destroy a viable airline which was making profits when you took over,” he wrote. The BBC understands that the airline has suspended the pilot. Flybe told the BBC that “an individual was suspended on 17 January 2019 in accordance with company policy”.